Looking for Commercial Painters in Houston? Wonderful news! 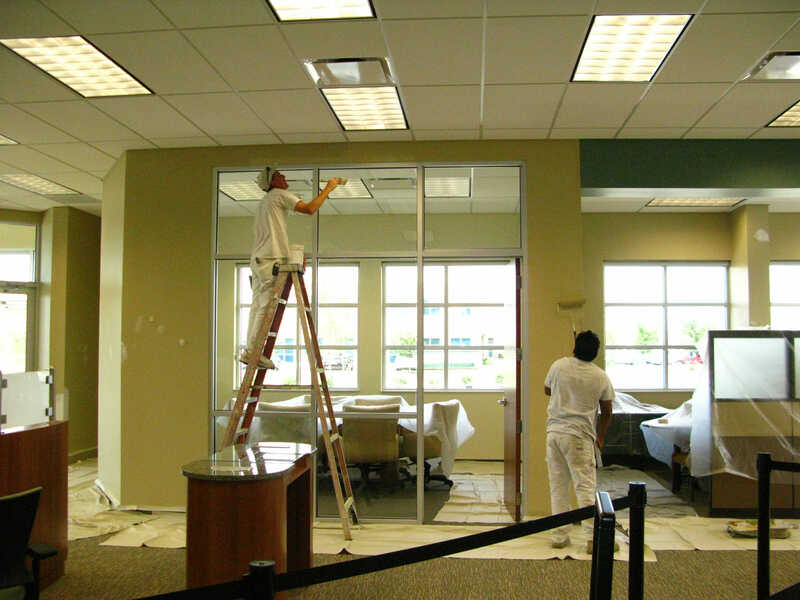 Commercial Painting of Houston is here to take care of any painting building painting needs you could ever have. We have a fully skilled team of professional painters with experience in almost every structural type of painting. Anything from warehouses to apartment buildings to sky-rises is right within our field of operation. We put absolute attention to detail into every inch of our work while still bringing you insanely competitive pricing. We’re a one of a kind team of professional building painters in Houston. Find out what we can do for you today! We are always ready to take up a project for commercial painting for any Houston residential area. Whether or not you need some old paint work stripped and repainted like brand new or you’ve got a fresh property that’s ready for it’s first beautiful coat, we’re good to go. Commercial Painting of Houston is locally owned and operated with over 20 years of hard work and experience making this city nicer. If you need paint work of any size give us a call. We work right along side contractors and home-owners associations. With a fully trained and experienced staff, we’ll tackle any size office or general business building. Anything from the ground to the sky is within perfect reach of our professional paint work. It should never be a challenge to find quality painters in Houston. Each and every one of our employee’s is fully dedicated to excellent workmanship, professional integrity, and a job well done. We offer both interior and exterior painting to you at fair pricing and excellent time. The only question left is how can we exceed your expectations? We work alongside business owners and contractors alike to paint or repaint areas all over the city. Any time you see a beautiful coat of paint across an entire city block’s lamps, fences, and benches you can just think Commercial Painting of Houston. Outdoor dining areas? Of course we can take care of that! We constantly train our crew on the latest technology and techniques for the most adaptive and modern practices in painting. Don’t hesitate to partner up with us for whatever project painting needs you have. How Can We Help, Houston? You want the best when you’re looking for Houston painters. That’s all we do. Our team has over 20 years of experience all across the board with Houston painting work. We’ve covered nearly every type of surface, material, scaffolding, and the rest to get this far. We strive to be your first call for professional painting work for any type of project.